#BlackHistoryMonth #AmericanHistory #WorldHistory For Black History Month I’d like to recognize W.E.B. Dubois a champion of African-American and African’s advancements. 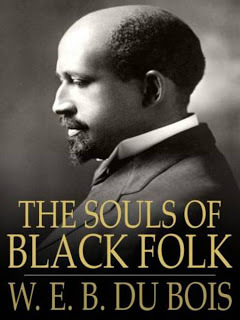 The favorite book that I studied in college in the African-American Studies Department at Rutgers University was “The Souls of Black Folk“, published in 1903 by W.E.B. DuBois. Traveling this vast world has made me become audaciously aware that this statement is relevant around the world well within the Twenty First Century. “Herein lie buried many things which if read with patience may show the strange meaning of being black here at the dawning of the Twentieth Century. This meaning is not without interest to you, Gentle Reader; for the problem of the Twentieth Century is the problem of the color line.” It’s not just what American’s know as black and white, there is literally a problem of color, of a need to be “white” vs a hatred of being brown-skinned, a disenfranchisement of the tanned man. If you would like to listen to a free audio version of the book click http://www.booksshouldbefree.com/book/souls-of-black-folks-by-web-du-bois Leave your thoughts in a comment, would love to hear them. I got to push someone’s car today without the owner being there! I got a ride from a coworker and someone was parked behind them, we just pushed their car out-of-the-way. So in Bangkok it’s perfectly fine to park directly behind someone blocking them in as long as you are parked perpendicularly (making a T) to the row of cars and you leave your car in neutral without the break on. 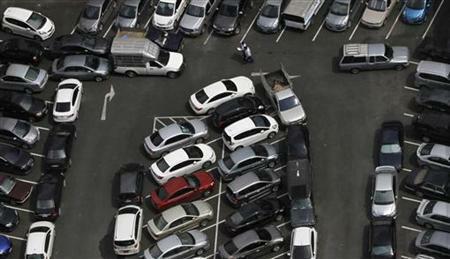 That way, when the owner of the car you are blocking comes back they can just move your car by pushing it forward or backwards.